Why me? My clients say it best! We have bought and sold several homes over the years and have never been completely satisfied with the transaction... until working with Janis! She is by far the most professional and knowledgeable realtor we’ve ever worked with; her communication is spot on, she’s proficient in the use of technology and she couldn’t be easier to work with, even when difficult issues arise. We could not recommend Janis more highly, FIVE STARS!! From the beginning Janis was very sweet and dedicated to finding the right property. While we encountered many challenges, she went the extra mile to get what we needed. Diligent in gathering information, she was awesome in bringing me out to many properties, most of which required intense hiking! We ultimately found a beautiful spot that met all our most important needs and she negotiated brilliantly in our interest. I highly recommend her. She really knows what she's doing. Thank you so much Janis! Janis Hall went beyond our expectations! Her photographs were fabulous as well as her description of our house. Janis held broker as well as "open to the public" Open Houses with clever themes. We were especially pleased with her rapid response to our questions and concerns. I would highly recommend Janis to buyers and sellers alike. We were very happy and lucky to have Janis as our agent. While our real estate experience went well beyond any normal transaction she stayed on top of things and went well above the call of duty to assist us in getting to a happy conclusion. I would not hesitate to recommend Janis and would use her again in the future. Janis is outstanding. I've bought over a dozen homes in my lifetime. Janis is the hardest working agent that I've ever dealt with. Another very important attribute is the fact that she doesn't try to steer you toward the most expensive house on your list. When I finally, after 2 months of pouring over untold number of listings, settled on a house, she still sent me the latest houses to hit the market ... just to make sure there wasn't something better that might have popped up. She's not trying to rush the buy just to get the commission sooner. She's there for every step of the process from search to negotiation to inspection to setting up utilities for the house. If you don't utilize her knowledge, you're doing yourself a disservice. Good luck with your search. Janis was very knowledgeable with the process of dealing with foreclosure homes. This lady went beyond the job title of realtor. She is very easy to chat with and clearly knows her profession's ins and outs. Janis is also a very good person who will look after her client's best interest. In our case, she selflessly recommended for us to bid low and go up gradually in price even through it would affect her commission. Her willingness to make us happy was exemplary. Janis is an absolutely delightful and knowledgeable realtor. I currently live in Chicago but plan to move to Asheville, the timing of which is TBD. An Asheville friend connected me with Janis, because I was interested in seeing some properties on an upcoming visit. Given that my move date is unknown, I felt a bit uncomfortable taking up someone's time to show me around. But, Janis couldn't have been more gracious. I had assumed that we'd spend maybe a couple of hours together, but she had put together a full day of appointments, in all different parts of town. Not only was this incredibly helpful in fine-tuning my preferences, I learned a ton about Asheville as we drove from place to place. Janis really knows the nuances of the various neighborhoods. It ended up not only being informative but a super fun day! After such a positive experience, I will definitely be contacting Janis to handle my real estate transaction when the time comes. We worked with Janis Hall via phone from NYS. Ms. Hall was excellent to work with. She found us a number of homes, and when we arrived she worked diligently to see that ALL our needs were met. Her knowledge, and understanding of what we needed were very impressive. She worked within our timeframe, often late into the night. Janis has great negotiation skills and was able to get us just the home we wanted! Ms. Hall was a pleasure to work with; and will now be working with our daughter to find her a new home. We highly recommend Janis Hall. Janis may be the most responsive professional with whom we have ever dealt. She is exceedingly fast and thorough at acquiring information and answering questions. She is knowledgeable about the local market and has a good grasp of local contacts who assisted us throughout the buying process. Although we made offers on two different properties that were not accepted (for different reasons) she continued to work with us wholeheartedly to ultimately find the one that exceeded our initial expectations. My wife and I recently purchased a very nice Condo in Asheville. Janis was very helpful in showing us around the town and a number of properties that were very much in line with what we were looking for. Janis was very thoughtful and provided good insights during the offer process. Most importantly, we currently do not live in the Asheville area, so Janis took care of a number of the aspects of the buying process, including arranging and attending the building inspection, recommending a closing attorney, as well as, a number of post-closing support. 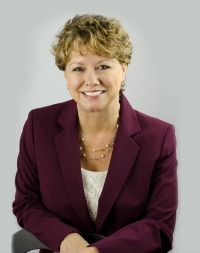 I would highly recommend Janis Hall to anyone looking to buy or sell in the Asheville area.